In recent years, there has been a splurge in what are being described as ‘alternative football clubs’ across Europe. These clubs do not just focus on match results and money; on the contrary, they appear to be driven by community and social responsibility. With community schemes and crowdfunding based ownership, these clubs do not usually have expensive tickets or corporate services but maintain a rather non-league atmosphere; unlike the clubs with private or corporate ownership. For long FC United of Manchester has been the flag-bearer of such a “community club”, however, City of Liverpool FC, riding on one of the most impressive debuts in recent times, is looking to head in the same direction. The club was officially registered as a Community Benefit Society in November 2015 and is owned completely by its supporters. Beginning in 10th league, the club quickly won a promotion and is inching closer for another, while also tasting some hard won successes on the field. Most importantly, besides the results, they have been drawing an impressive number of people regularly at their games. According to reports they’re averaging 434 people per game this season, which is three times more than league competition. In addition, the club is routinely hosting community and charitable events and getting fans participate in non-football activities. Buoyed by the community support, City of Liverpool FC is now aiming to have a stadium, which could be very well owned by the community. Even before the final design and budget is decided, about 83 percent of club member have already shown interest in buying shares in the new stadium. The club has also raised around £500,000 through crowdfunding by the end of 2018. The community shares in the new stadium are expected to draw another £1 million with a target now set at £2 million. In February 2018 the club was granted a period of exclusivity on a site in Fazakerley, on the boundary between Liverpool and Knowsley, by Liverpool City Council. The site at Fazakerley Playing Fields is in a state of disrepair, but the club believes that it can build a Community Stadium on the site. 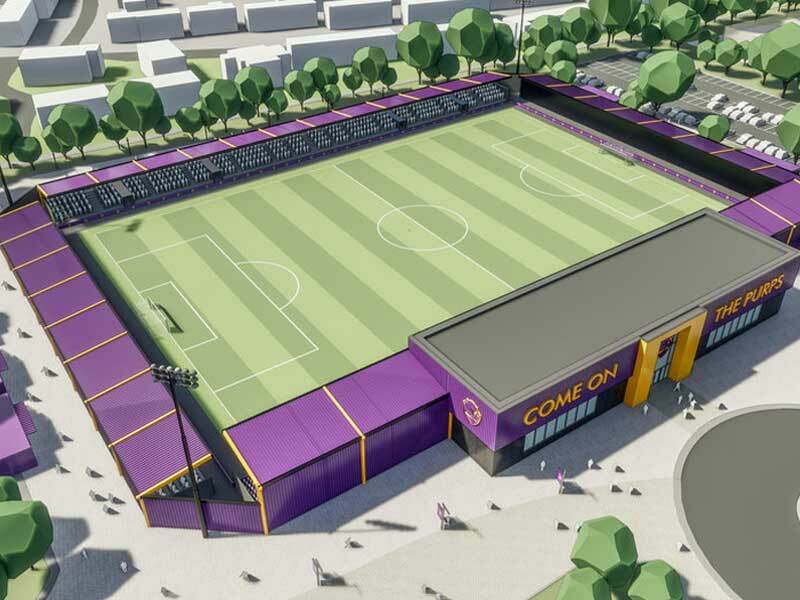 The club’s proposal would see a main stadium, full-size training field and as many as six 5-a-side fields daily use. Owned by the club and its supporters, the complex would be seen as an asset for the community, open for all. The main stadium itself would be designed for 3,000 people with majority standing, but with option to become even a 5,000-seater, should demand warrant it. Club offices and the main grandstand might be built in the east rather than traditional west. As part of the stadium announcement, the club also announced that they had signed a further three-year groundshare agreement with Bootle FC that can take them to the end of the 2020/21 season.